In 3 1/2- to 4-quart slow cooker, toss pork, flour, seasoned salt and garlic-pepper blend until pork is coated. 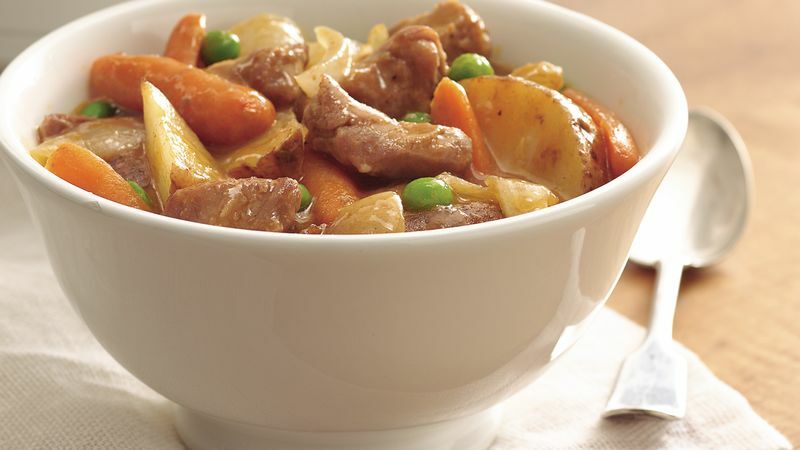 Stir in potatoes, carrots, onion, gravy and chili sauce. About 20 minutes before serving, stir in frozen peas. Cover; cook on Low heat setting about 20 minutes longer or until peas are tender. Just before serving, sprinkle with chopped fresh sage or garnish with a sprig of fresh sage.